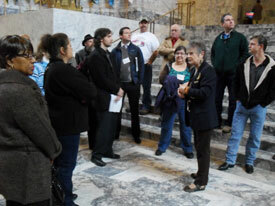 During Council 2’s Legislative Weekend in Olympia attendees toured the Washington State Capitol building, spoke with legislators, attended a workshop and committee meetings, heard a talk from a state representative, and received an update on the legislative session. 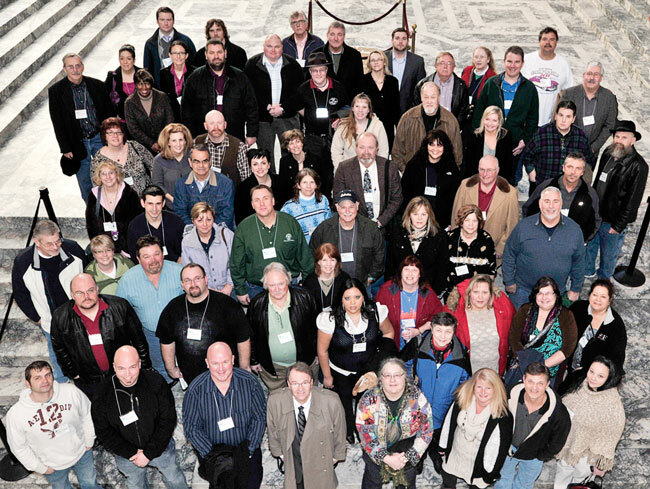 Council 2 visitors to the Washington State Capitol during the union’s recent Legislative Weekend pose on the rotunda steps. 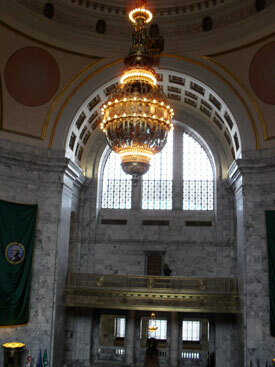 A tour guide points out a feature in the House of Representatives at the Washington State Capitol as Council 2 members look on. Two groups of Council 2 members were guided through the building where they not only viewed the building’s impressive architecture, but also learned how the legislative system works and gained an insight into the state’s history. During the visit to the State Captitol, some members met with their legislative representatives. 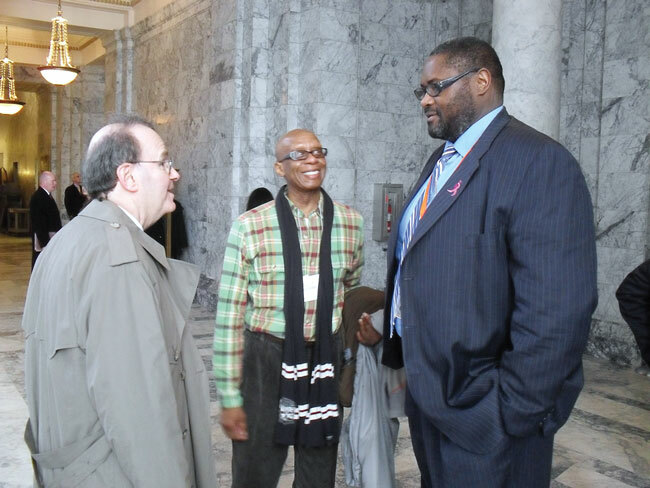 Here Local 2084-SC President Michael West, center, and Treasurer Ron Tarnow, left, both juvenile probation counselors at the King County Superior Court, urge Eric Pettigrew, State Representative for the 37th district, to do what he can to stop budget cuts to the juvenile court system. 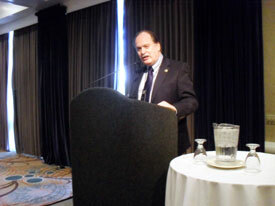 The court is based in Pettigrew’s district. 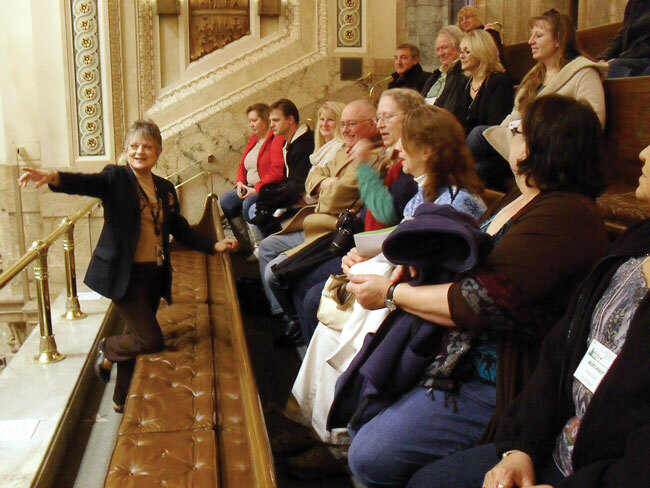 Top left: Tour guide points out distinctive features of Capitol.